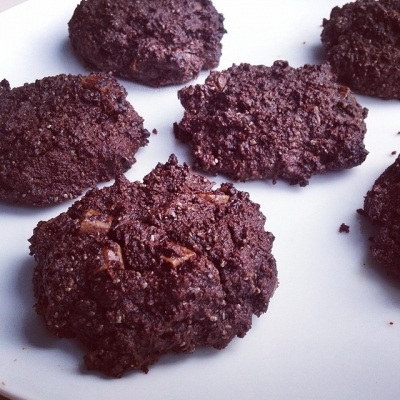 Delicious cookies with the added benefits of the superfood: chia seeds! Combine: 1 cup almond flour, 1/3 cup cocoa powder, 2 tbsp chia seeds, 1/4 cup honey, 1/2 tsp baking powder, 1 egg white, 2 tbsp almond milk and a handful of chocolate chips. Pop onto a baking sheet and bake at 180c/350f for around 10- 15 minutes.